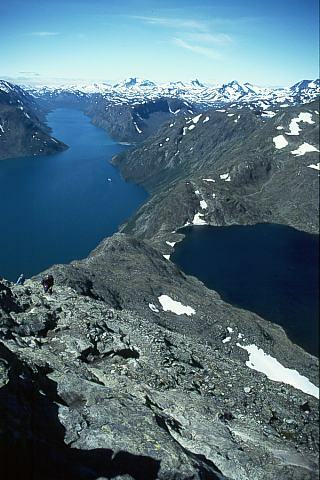 BESSEGGEN - "Crossing the Threshold" - From a cascade high on this precipitous trail overlooking a large glacial lake, two days before the full moon during the approach of a snow squall in July 1999. Supports stepping through a doorway into "overview understandings." It is an essence for those who are crossing over new borders in the inner and the outer. As a help when one fears "a fall" from this point of wide perspective in life. For facing fear at the beginning of a challenging journey, or when there are doubts about one's capability to cross the threshold of life's next challenge. During quantum-shifts in consciousness and responsibilities, it eases doubt, fear, and helps maintain grounding and balance. 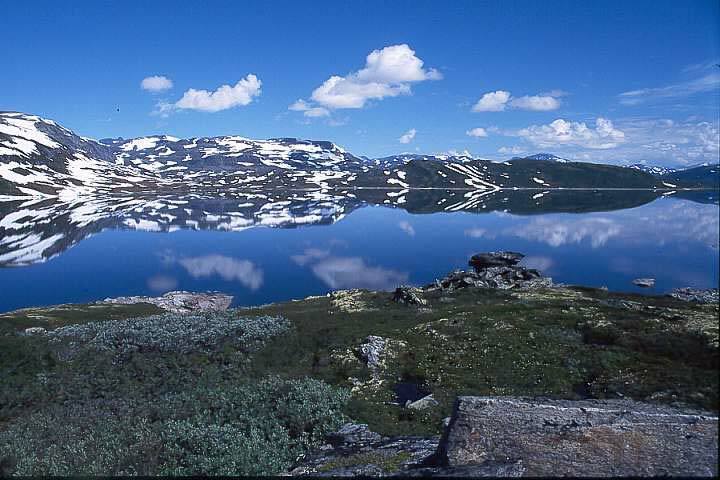 TJORNHOLET - "Sea of Courage" - Received from the high lake lying in a naturally heart-shaped area between two snowy peaks, on the day before the full moon in July. Helps to activate, open, and balance the Heart and Heart Chakra. Assists one to learn that vulnerability is an act of courage and opening the heart. This essence supports the remembrance of Oneness, and the courage to maintain the compassionate view. Whenever obstacles seem insurmountable. Helps realize the power of compassionate commitment. Whenever there is a lack of trust in the Heart as a worthy guide. 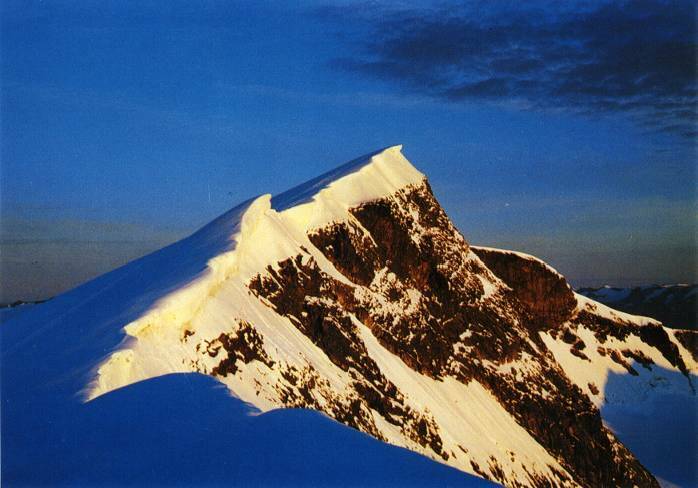 GLITTERTIND SUMMIT - "Crystal in the Crown" - Received in the crystalline snowfield at the summit of the highest snowy peak in Norway on a full moon summer day, under a cloudless sky. Resonates primarily with the pineal gland, assisting the process of maintaining a clear overview. Supports reception of the higher consciousness as the potential for all physical manifestation. Accepting the full spectrum of our lives, including both the "highs" and the "lows". Facilitates and strengthens clarity, to receive guidance, and to support spiritual practices. 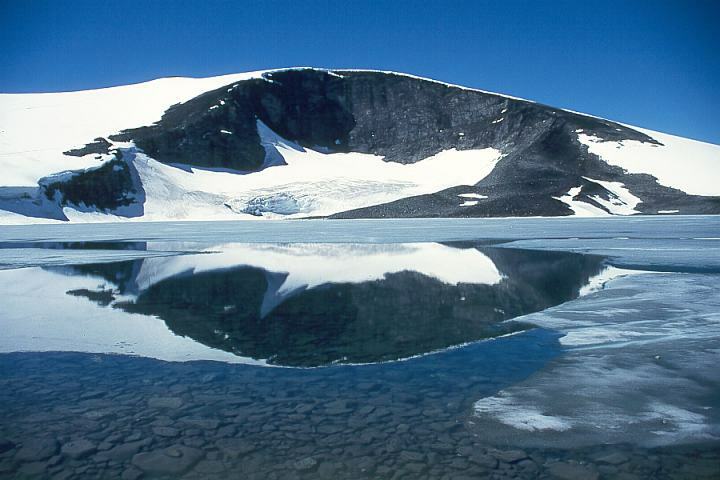 GALDHOPIGGEN - "Grounding Gateway" - Received in the crystalline snowfield at the summit of Galdhopiggen, the highest rock mountaintop in Norway, on the first day after the full moon. Resonates primarily with the pituitary gland. Supports grounding of the highest cosmic energies that are available to the physical body, so that their full potential can manifest in our body, emotions and thoughts. Helps to "trust your body" as a worthy guide that is capable of transformation. 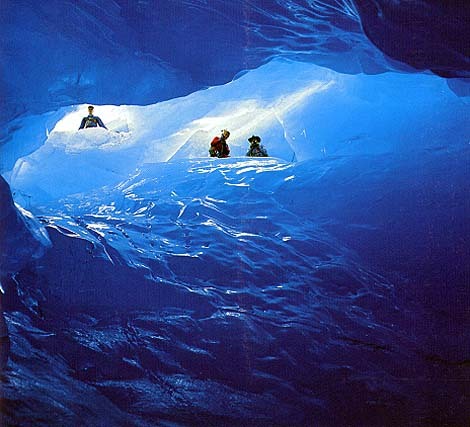 GLACIAL INTERIOR - "Acceptance" - Received inside the Svellnosbreen Glacier, under the summit of Galdhopiggen mountain, just prior to the Galactic Crossing in August, 1999. This essence helps to find acceptance and patience in situations where we feel constrained, and perceive that things are moving 'too slowly,' or are stagnant, frozen and unyielding. This essence assists in uniting the polarities of life; it assists with integration of complementary aspects. Useful for those who are in deep psychological processes, working with the core energies. 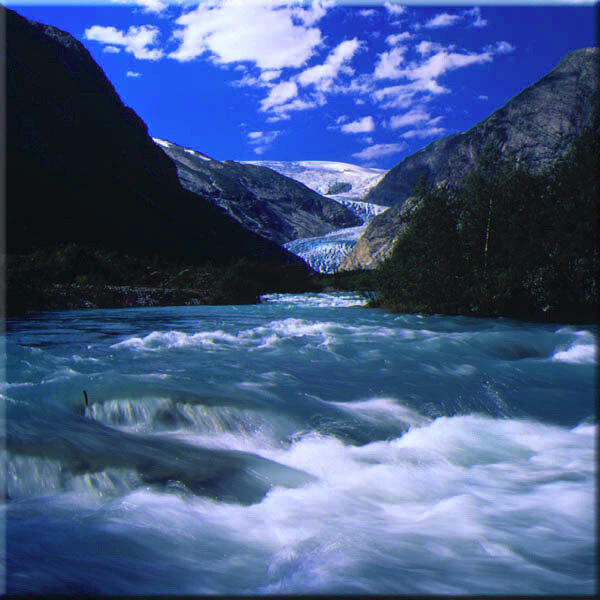 GLACIAL STREAMFLOW - "Melting and Celebration" - Received from a cascading glacial stream emerging from the Svellnosbreen glacier. This essence supports realization of joy, freedom, movement and pleasure of the moment. Carries energies of the celebration that accompanies release from a long period of confinement. Assists that which is frozen to allow melting. Supports movement as both spiritual work and play, and as artistic expression or expressive therapy. TREE LINE - "Realization of Potential" - Received at the tree line, from a cascading stream on the side of Galdhopiggen mountain, at sunset on a late summer evening in August 1999. Helps to discover one's fundamental inner strength and resources. Useful during periods with extreme stress coming from oneï¿½s environment. Supports feelings of adequacy, and helps to release feelings of inadequacy when exposed to psychic or energetic attack. This essence helps you to surrender during processes of separation, loss, and grief. 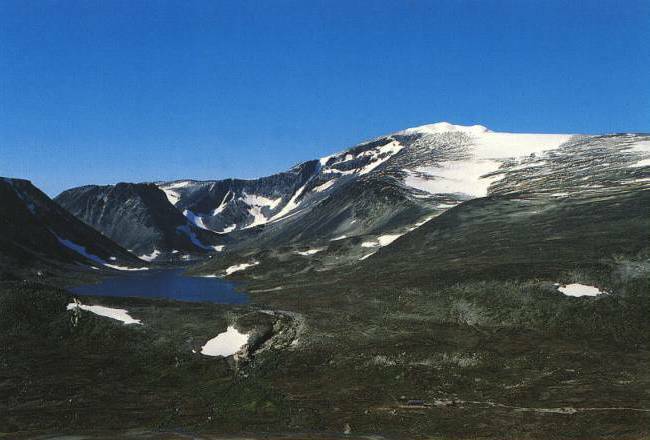 THOR'S HAMMER - "Cooperation and Unity" - Received at the base of Thor's Hammer mountain at the western portion of Jotunheimen, during the Galactic Crossing event in August 1999. This essence harmonizes the connection between the third, fourth, and sixth chakras -- between power, compassion, and thought forms. Assists one to work in group and/or cooperative projects. Supports raising of group consciousness and harmony in these situations. 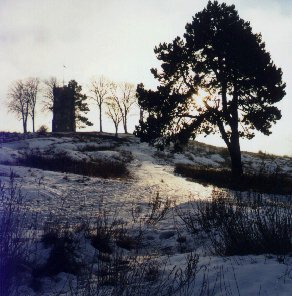 GRAIL WELL - "Peaceful Source" - Received from a spring source emerging at the base of a solid rock hill which faces directly towards the original Tonsberg, Norway hilltop settlement, the established pilgrimage site of TÃ¸nsberg's St. Michael's stone chapel. This essence helps us manifest tranquility and grounding in the midst of chaos, confusion and instability. It assists us to recognize our fears, both known and hidden, and become aware of underlying motivations. A powerful essence for supporting the release of fears based on "past-life traumas". Helps to realize a spirit of peace, dedication and service; resting in the knowledge that "all is for the best." 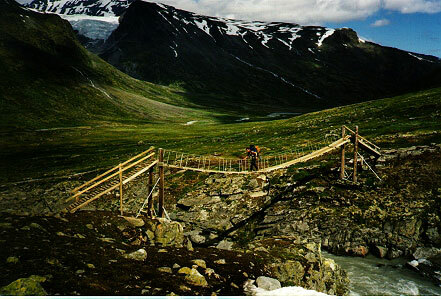 BESSEGGEN  "Crossing the Threshold"
It is an essence for those who are crossing over new borders in the inner and the outer. As a help when one fears to fall from the overview-point of far-seeing and wide perspective. Helps to ground experiences which require us to expand existing boundaries. TJORNHOLET  "Sea of Courage"
Helps to activate, open, and balance the Heart and Heart Chakra. Assist one to learn that vulnerability is an act of courage and opening the heart. Whenever there is a lack of trust in the Heart as a worthy guide. GLITTERTIND SUMMIT  "Crystal in the Crown"
Resonates primarily with the pineal gland. Supports reception of higher consciousness as the potential for physical manifestation. Accepting one's existence on the Earth. Facilitates and strengthens clarity, to receive guidance. Resonates primarily with the pituitary gland. Supports grounding of the highest cosmic energies that are available to the physical body, so that their full potential can manifest in our body, emotions and thoughts. Helps to "trust your body" as a worthy guide. This essence helps to find acceptance and patience in situations where we feel constrained, and perceive that things are moving 'too slowly,' or are stagnant, frozen and unyielding. This essence assists in uniting the polarities of life; it assists with integration of complementary aspects. Useful for those who are in deep psychological processes. GLACIAL STREAM FLOW  "Melting and Celebration"
This essence supports realization of joy, freedom and pleasure of the moment. Carries energies of the celebration that accompanies release from a long period of confinement. Assists that which is frozen to allow melting. Supports movement as both spiritual work and play. TREE LINE  "Realization of Potential"
Helps to discover one's fundamental inner strength and resources. Useful during periods with extreme stress coming from one's environment. Supports feelings of adequacy, and helps to release feelings of inadequacy when exposed to psychic or energetic attack. This essence helps you to surrender during processes of separation, loss, and grief. THOR'S HAMMER  "Harmonious Cooperation"
This essence harmonizes the connection between the third, fourth, and sixth chakras -- between power, compassion, and thought forms. Assists one to work in group and/or cooperative projects. Supports raising of group consciousness and harmony in these situations. GRAIL WELL  "Peaceful Source"
This essence helps us manifest tranquility and grounding in the midst of chaos, confusion and instability. It assists us to recognize our fears, both known and hidden, and become aware of underlying motivations. A powerful essence for supporting the release of fears based on "past-life traumas". Helps to realize a spirit of peace, dedication and service; resting in the knowledge that "all is for the best."